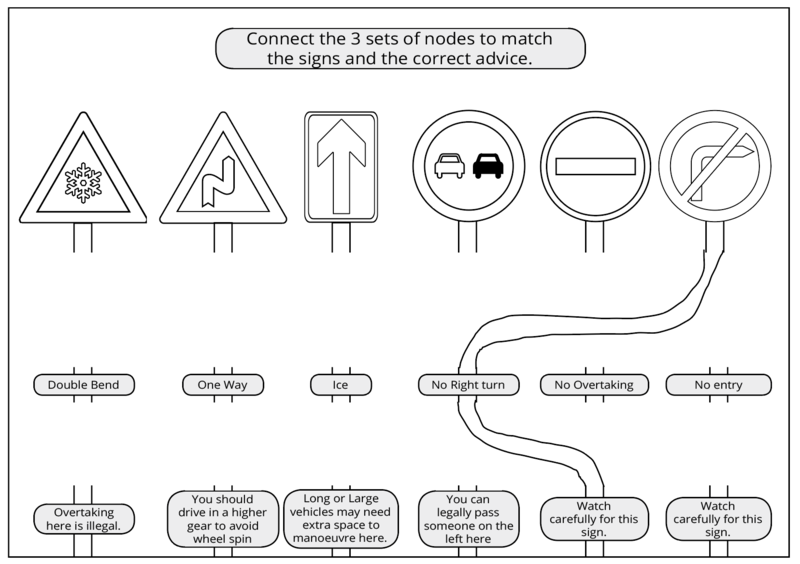 ‘Would people accept a colouring book for the Theory Test?’ – Getting an unbiased opinion on ‘A Colouring Book for the Theory Test’. ‘How much would you pay for this today?‘– Getting an unbiased opinion on pricing. 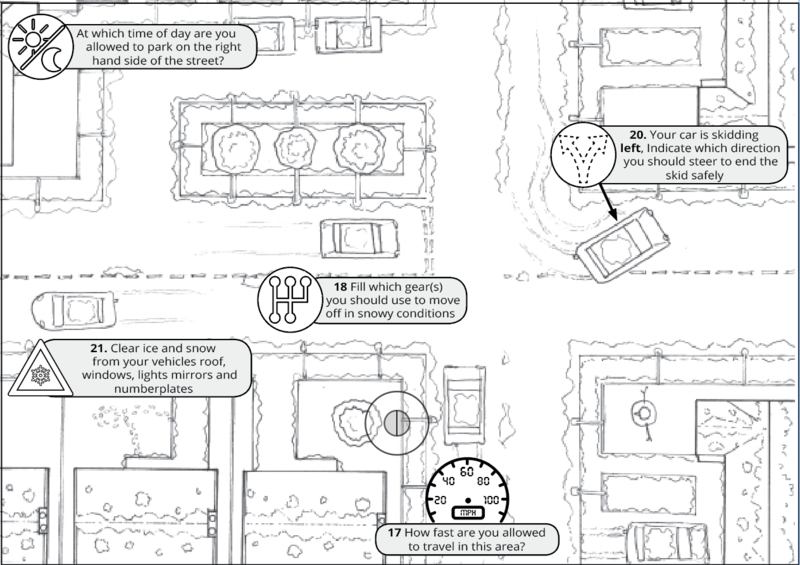 Before any further product development or investment, I wanted to make sure the concept of an educational colouring book for the theory test would be accepted among 17 year olds, the largest age group attempting the theory test. I needed to validate my concept. Getting an unbiased opinion on undeveloped products is a challenge. Accurate validation does not come from hypothetical questions, ‘Would you buy XYZ?’. This is because people like giving positive answers when thinking about themselves in a future situation – they also don’t want to upset you by saying they don’t like your product. 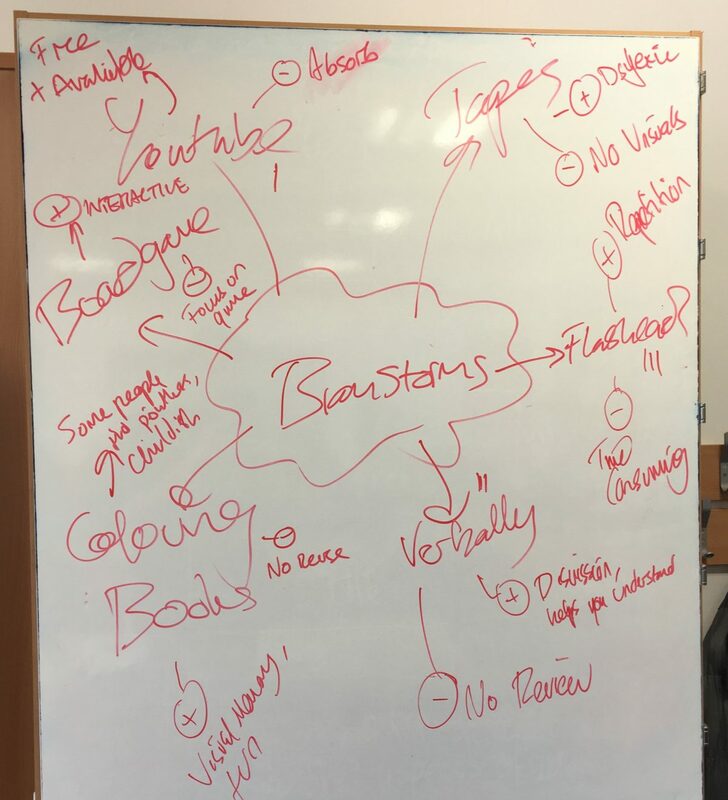 The class were asked to individually brainstorm concepts on ‘A different way to study for the theory test‘. I added ‘Board Game’ and ‘Colouring Book’ as my personal ideas, in the hope it would be judged equally. As a group, we then carried out a +/- exercise for each idea and voted on each individual’s favourite concept; making sure to steer the thinking towards previous experiences. The discussion that followed showed that they liked concept once they had seen it – or perhaps they were just being nice (did I just fail the mom test?). Either way, I’d learned initial impressions need visuals – a useful insight, especially when it comes to marketing. Luckily this is easy to implement in today’s content-heavy internet. The Flashcards concept the class suggested also received a lot of upvotes, and could potentially become a supporting product. Working with Katie I had prepared a set of sample pages, with various combinations of page layout. 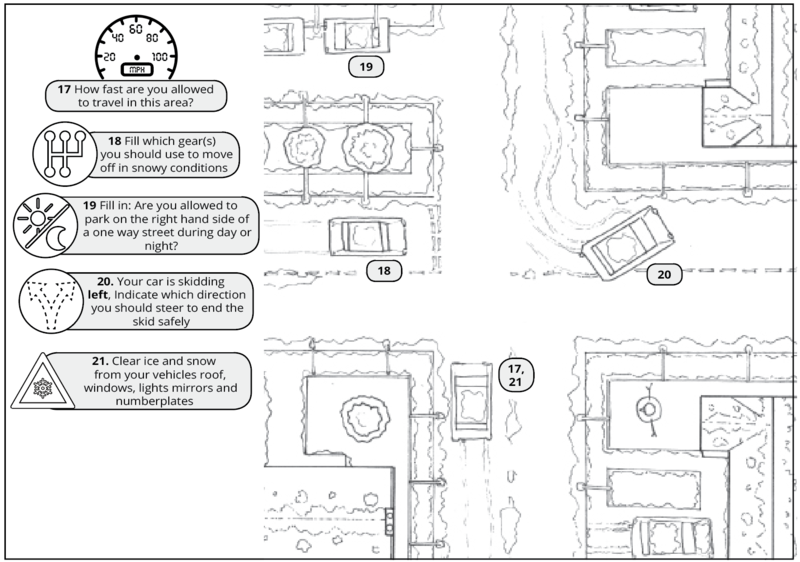 These pages contained a mixture of interactive visual questions (Colour the speedometer to the correct speed), and statement style learning points (‘Clear ice and snow from your windows…’). The students were given colouring pencils and 20 minutes to go through the book – an open discussion was then held. Each page had prompts encouraging the students to think about layout, clarity and design. The students enjoyed Katie’s illustrations, and preferred page layout formats that provided the biggest illustration space. They didn’t like learning points covering the illustrations because they felt they were ‘missing out’. However, the most valuable insight from this session wasn’t related to the hypothesis I stated earlier. Further discussion with the students highlighted that the questions were still asking them for knowledge they hadn’t yet learned. They needed education before evaluation. This was the key insight of the session. Setting a price is an art, different demographics see value in different ways. High schoolers see it very differently from their parents, for example. My sample consisted entirely of 17-year-olds – I conducted this price experiment get feedback on some ballpark figures. Each participant was handed a random price ranging between £8-18, and asked not to discuss. Participants were told this was the final price of the product, and asked to stand in groups marked “Too Low”, “Just Right” and “Too High”. I tried to reduce future-tense hypothetical thinking by offering them the chance to pre-purchase the book that day. After the groups were formed, participants revealed the prices they were given. The results were sporadic: “Just Right” ranged from £8-13 and £12 appeared in both “Too Low” and “Too High”. I wasn’t expecting this exercise to give an exact answer. This entry was posted in Product Development and tagged Colouring Books, Development, Testing, Theory Test.